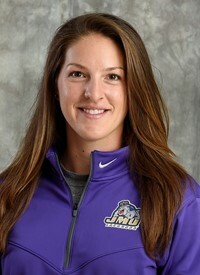 A two-time All-American at James Madison University, Shelley Klaes-Bawcombe returned to her alma mater prior to the 2007 season and enters her 10th year at the helm of the Dukes in the 2016 season. With a 105-57 mark in her previous nine seasons at JMU, Klaes-Bawcombe has led Madison to the Colonial Athletic Association championship game five of the last six seasons, winning the title in 2010, 2011 and 2015 while dropping the other two title games by a combined two goals, which included an overtime loss to top-seeded Towson in 2014. Overall, Klaes-Bawcombe has accumulated a 155-92 record in 15 years as a head coach. Her most successful season in Harrisonburg came in 2010 when she led Madison to a program-record 17 wins and guided the Dukes to the NCAA Quarterfinals with a win over Stanford before falling to Syracuse. During that season, JMU reached as high as No. 7 in the nation while earning a No. 5 seed in the NCAA Tournament, the second-highest seed in program history. 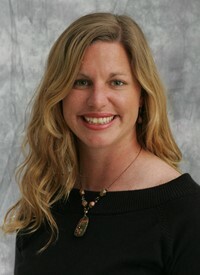 Following the 2010 season, Klaes-Bawcombe was named national Coach of the Year by womenslacrosse.com. She also added CAA Coach of the Year to the list of accolades before coaching the South Team in the North-South All-Star Game. Additionally, she was voted Virginia Coach of the Year by Virginia Sports Information Directors (VaSID) in 2010 and followed the honor with another Coach of the Year honor in 2011 from VaSID. In her first season at JMU in 2007, she led the Dukes to as high as No. 5 in the nation while being a mainstay in the national polls every week of the season. Madison was also ranked as high as No. 5 in 2008 and No. 16 in 2009 before the record-breaking year in 2010. In 2011, Madison finished the season ranked No. 11 in the nation while taking the CAA Tournament title before dropping a tough 11-10 decision to Princeton in the first round of the NCAA Tournament. Emily Boissonneault joined the Dukes in July 2015. 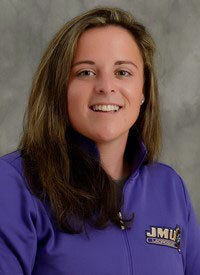 Boissonneault came to JMU from Winthrop, where she served as an assistant coach for three years. During the 2015 season, she helped coach the Eagles to a Big South Championship title. While at Winthrop, she focused on offensive technique and the team’s conditioning program. Her duties also included managing weekly practice hours and cutting game and practice film. She also took part in recruiting and meeting with potential players. Her coaching career began at the club level, where she operated as head coach for the Bloomfield Hills Lacrosse club from 2010-2012 and for the Oshawa Lady Blue Knights under-15 women’s field lacrosse team in 2014. The Ontario native was part of the 2013 Federation of International Lacrosse (FIL) World Cup Canadian National Team. As a member of Team Canada, Boissonneault led her country to its first silver medal in the FIL World Cup. She played in all seven games as a midfielder and finished the tournament with five goals, one assist, two caused turnovers and three draw controls. Kerry Stoothoff joined the JMU lacrosse program as an assistant coach on July 28, 2016. She will serve as the goalkeepers coach. Stoothoff comes to JMU after spending the past three seasons at NCAA Division II power Adelphi where she coached the goalies and defense. During her time with the Panthers, she helped the program to two national championships in 2014 and 2015 and a berth in the NCAA title game in 2016.